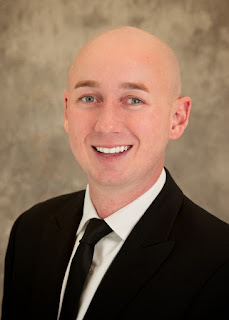 Eastern Idaho Regional Medical Center has named Nicholas Manning to the hospital’s administrative team. As an assistant administrator, Manning partners with EIRMC’s leadership in administering daily operations and directly leads several departments. Manning comes to EIRMC from HCA’s (EIRMC’s parent company) Mountain Division, where he most recently served as senior director of operations improvement. Prior to that, he served as associate administrator at Odessa Regional Medical Center, a 225-bed facility in Odessa, Texas. He has also held positions at Ogden Regional Medical Center, a sister HCA hospital in Ogden, Utah, and a position as division director of support services at HCA’s Mountain Division. Manning earned his bachelor's in health administrative services from Weber State University and his Masters of Business Administration in Healthcare Management from the University of Scranton. Manning is a fellow of the American College of Healthcare Executives. Manning was born and raised in Ogden, Utah. He enjoys camping, hiking, skiing, and rock hounding. He is an avid supporter of the arts and is committed to building stronger communities through participant engagement and through fostering meaningful relationships with others. I.F. company MarCom LLC buys lab in Butte, Mont.